This is the conclusion of my MA thesis, The Shanghai Manhua Society: A History of Early Chinese Cartoonists, 1918-1938, completed in December 2015 at the Department of Asian Studies at UBC. Since passing my defense, I’ve decided to put the whole thing up online so that my research will be available to the rest of the world. I’ve also decided to use Creative Commons Attribution-NonCommercial-NoDerivatives 4.0 International License, which means you can share it with anyone you like, as long as you don’t charge money for it. You can also download a PDF version here. As we have seen, although the official Manhua Society ended about a year after it began in late 1926, many of the members remained close, and throughout the late 1920s and early 1930s they pooled their resources to fund several short-lived manhua periodicals for which they solicited submissions from amateur and professional artists alike, becoming not only editors, but also gatekeepers, teachers, and patrons for generation of cartoonists which followed, a somewhat ironic role given their relatively humble origins (with the exception of Wang Dunqing). Employed primarily in the advertising and fashion industries, members responded to the worsening of the conflict with Japan by becoming increasingly political and in their manhua periodicals, one can see a marked shift from boys’ humor and light political satire into outright propaganda. Their example demonstrates that the link between art, commerce and politics in the 1920s and 1930s in Shanghai was a fluid one, with few hard and fast boundaries. 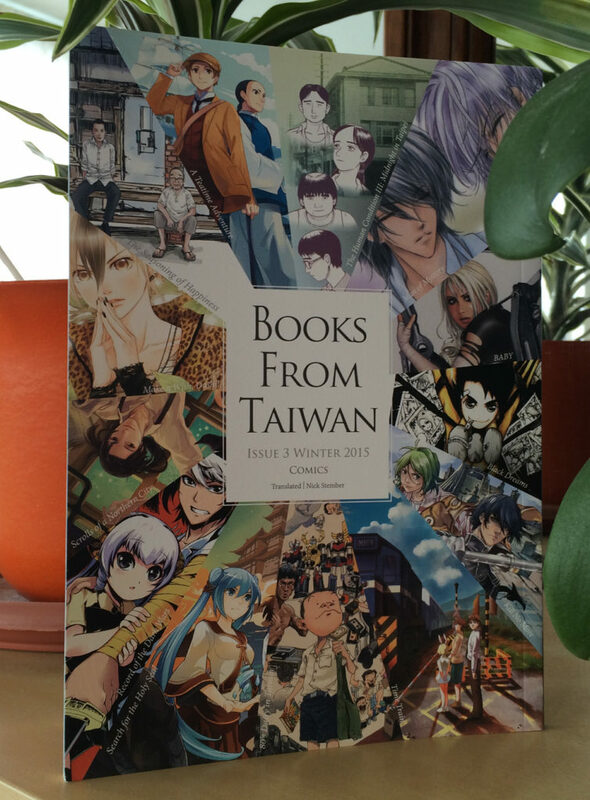 English-language historians of modern Chinese visual culture such as Julia Andrews, Adam Cathcart, John Lent, Ellen Johnston Laing, Paul Pickowicz, Kuiyi Shen and others have examined the careers of various manhua artists. Many more scholars have used manhua illustrations to demonstrate the development of the public sphere in Republican China. Other scholars have looked at the political and literary groups of the time, building on the work of Michel Hockx and Kirk Denton. John A. Crespi, meanwhile, has published an illustrated introduction to the important manhua periodical Modern Sketch and is in the process of completing a study of selected Chinese pictorial satire magazines from the late 1910s to the 1950s. Likewise, Jonathan Hutt has written at length on the life and times of Shao Xunmei, touching upon Modern Press, and more recently, Paul Bevan has published an important monograph which places Shao Xunmei and the members of the Manhua Society and their later collaborators within the global discourse of modern art. While I have relied on their work to varying degrees in the course of my research, to my knowledge, however, this is the first English language study to provide a comprehensive account of the formation and immediate legacy of the Manhua Society. Cartoonist and scholar Bi Keguan’s 畢克官pioneering 1986 Chinese-language study The History of Chinese Manhua 中國漫畫史, co-authored with Huang Yuanlin 黃遠林 was the first to highlight the historical importance of the Manhua Society. Thirty years later, this groundbreaking work remains unsurpassed as the most exhaustive and penetrating look at the history of Chinese cartooning. Beginning with a short look at proto-cartoons from the pre-modern period, Bi and Huang document the emergence of humorous drawings 滑稽畫 in the newspapers and pictorials of the late Qing and early Republican period, looking at artists such as Shen Bochen and Ding Song. They show how these works informed the satirical cartoons 諷刺畫 of the politically tumultuous late 1910s, which Bi and Huang refer to as the Era of May 4th Movement 五四運動時期. Although this movement began as a series of student protests against territorial concessions given to Japan, it eventually came to be seen as emblematic of a much larger cultural backlash against cultural and social conservatism. 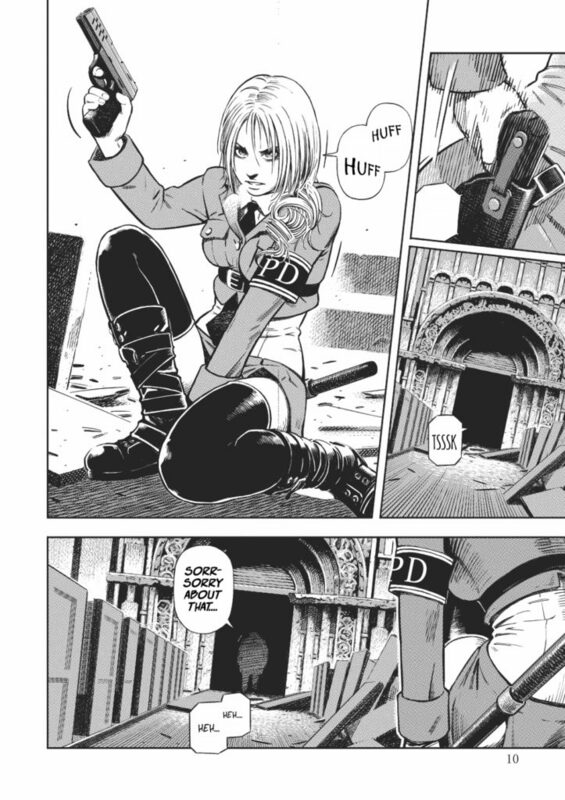 Further research is needed on why so many manhua publications were short lived. While we will probably never know for sure how exactly how many manhua periodicals were published, in Chapter 6 of this study I touch on a total of 25 magazines published after the (informal) founding of the Manhua Society in 1928 and before Shanghai fell to the Japanese in November, 1937 (see Appendices Table 0.2 for a complete list). Of these, only a handful were able to survive for 2 to 3 years, with the vast majority closing after 2 or 3 months. John A. Crespi has hypothesized that many magazines were launched with funding sufficient to cover the costs of only one or two issues, being forced to rely on the sales of these first issues to continue printing thereafter. At the same time, for every successful magazine there were any number of titles which failed to find an audience large enough to justify production costs. This is the sixth chapter in my MA thesis, The Shanghai Manhua Society: A History of Early Chinese Cartoonists, 1918-1938, completed in December 2015 at the Department of Asian Studies at UBC. Since passing my defense, I’ve decided to put the whole thing up online so that my research will be available to the rest of the world. I’ve also decided to use Creative Commons Attribution-NonCommercial-NoDerivatives 4.0 International License, which means you can share it with anyone you like, as long as you don’t charge money for it. Over the next couple of days I’ll be putting up the whole thing, chapter by chapter. You can also download a PDF version here. Since this was not a fair weather art, it did not attract those in search of fame or fortune. On the contrary, it offered poverty and hard knocks. The history of the first group of cartoonists is typical. Out of ten members, one died with enough money to pay for his funeral; one joined the government and secured a job that kept him from doing embarrassing cartoons, one disappeared after publishing a particularly pointed anti-Kuomintang cartoon, six managed to hold together, to be joined by a seventh who had been in hiding for four years during the bitterest persecution of Leftists: after the fall of the Wuhan government in 1927 and the split of the united front between the Communist Party and the Kuomintang. Their survivors met [in 1934] at the home of their dead friend, whither that all unknowingly come on the same mission–to give him a regular funeral. Of the seven, three had steady jobs that paid fifty dollars gold a month, and they earned perhaps fifty more by extra work. These are the best paid cartoonists in China. The rest scrape along as best they can, editing, teaching, doing odd jobs. And yet–making cartoon history. While it is easy to identify the first Manhua Society member mentioned as Huang Wennong, who died of ruptured stomach ulcer on June 21, 1934, the others are less obvious. Clearly, Ji Xiaobo is the most likely candidate for having joined the government, and the six who held together most likely refers to Ye Qianyu, Zhang Guangyu, Zhang Zhengyu, Lu Shaofei, Ding Song, and Hu Xuguang or Zhang Meisun. Huang Wang seems to have been the only out-and-out leftist in the group, although the dates for going into hiding seem wrong, since he was active throughout 1927 and early 1928, and again in 1930, with a four year period of inactivity from 1931 to 1934. This corresponds with the crackdown against the League of Left-Wing writers, of which he was a member, in February, 1931. The author of the pointed anti-KMT cartoon is more difficult to identify, but it may have been a younger member of the staff at Shanghai Sketch II, such as Xuan Wenjie, or someone less directly connected, such as Huang Shiying. Riding high on their success, on October 10, 1929, Shanghai Sketch Press 上海漫畫社, Zhang Zhengyu convinced his older brother to rename their press the China Fine Arts Periodical Press 中國美術刋行社and launch a second periodical, the monthly pictorial Modern Miscellany 時代畫報, to be co-edited by Zhang, and the modernist writer, Ye Lingfeng 葉靈鳳 (1905-1975). Designed to compete with the wildly successful pictorial Young Companion 良友畫報, the inspiration for Modern Miscellany came after the Singaporean distributer for both Shanghai Sketch and Young Companion lost distribution rights to the latter. The distributor’s representative in Shanghai, Wang Shuyang (who had met Ye in 1925, when he interviewed him for the job at Three Friends Co.), approached Ye Qianyu and Zhang Zhengyu with this business opportunity, and Zhang managed to convince his older brother against of the urgings of their three partners. Shortly thereafter, Lang Jingshan, Hu Boxiang, and Zhang Zhenhou withdrew from the partnership in protest, forcing them to move their office from the church to an alley near the intersection of Nanjing Road and Zhejiang Road, just minutes from the Bund. As a result, the second issue of Modern Miscellany was delayed until late February of the next year, and the third issue was not published until May. To solve their cash flow problems, Zhang Guangyu and company announced in the June 7, 1930, issue of Shanghai Sketch that the publication would be merging with Modern Miscellany and the publication schedule changed to bimonthly. On June 16, 1930, the first merged issue of Shanghai Sketch and Modern Miscellany was published, with the title shortened to Modern 時代. Meanwhile, in 1930 Ji Xiaobo and Ye Qianyu seem to have made steps toward burying the hatchet when Ji Xiaobo convinced the owner of Chenbao 晨報 [Morning Post] to launch a pictorial supplement which would serialize Ye Qianyu’s popular cartoon, Mr. Wang. Despite already working full-time as an editor at the bimonthly Modern Miscellany, Ye agreed, receiving 100 yuan per month for his strips, and two pin-up advertisements which the publisher requested in exchange for publishing the cartoon. Despite Jack Chen’s sarcastic comment in late 1938 that “[Ji Xiaobo] joined the government and secured a job that kept him from doing embarrassing cartoons,” then, it seems possible that Manhua Society parted amicably, having served its purpose of launching the careers of its members. Starting with Issue 1, Vol. 2, we will begin using photogravure, plus two-color plates, three-color plates, seven-color plates, etc. The paper we use will also be changed to specially produced foreign-made photogravure paper, in what could be called a pioneering step in China. As promised, the next issue of Modern, published on November 16, 1930, featured a large number of photographs, with much better contrast and fine detail. Over the next year however, due to the limited number of rotogravure presses in Shanghai at the time, Modern continued to suffer from delays, and quality declined as well. Finally, in the summer of 1931, Shao Xunmei managed to buy his own German-made rotogravure press for $50,000 US dollars, which was to be the foundation of his new venture, the Modern Press 時代印刷公司, and in the sixth issue (Vol. 2) of Modern, China Fine Arts Periodical Press announced that they would be taking a two month hiatus to set up their new press. Renting a factory on Pingliang Road 平涼路in Yangpu district, between the Japanese controlled Hongkou district and the Huangpu River, Shao soon found himself cut off from his investment when this part of the International Settlement was occupied by Japanese troops arriving via gunboat in January, 1932. This is the fifth chapter in my MA thesis, The Shanghai Manhua Society: A History of Early Chinese Cartoonists, 1918-1938, completed in December 2015 at the Department of Asian Studies at UBC. Since passing my defense, I’ve decided to put the whole thing up online so that my research will be available to the rest of the world. I’ve also decided to use Creative Commons Attribution-NonCommercial-NoDerivatives 4.0 International License, which means you can share it with anyone you like, as long as you don’t charge money for it. Over the next couple of days I’ll be putting up the whole thing, chapter by chapter. You can also download a PDF version here. From the evidence, it seems that at least in part an internal schism (or schisms) broke the group apart from the inside. For one, the checkered relationship between Ji Xiaobo and Ye Qianyu seems to have colored his interactions with the rest of the group. Lu Shaofei, on the other hand, seems to have had an especially close relationship with Ji up until late 1929, when the Ji seems to have mostly stopped publishing cartoons after being hired as a censor for the Ministry of Education. Huang Wang also withdrew from the group, and the cartooning world in general in the spring of 1928 after a falling out with Zhang Zhengyu, publishing leftist cartoons two years later under various pseudonyms, while Ding Song, meanwhile, seems to have distanced himself from the group following an obscenity trial in late 1928. Finally Hu Xuguang seems to have quit cartooning entirely in 1928, finding employment as set decorator in the film industry instead. At the same time, while it is true that four prominent members of the Manhua Society (Ji, Wang, Ding Song, and Hu) left the group to pursue other projects, as did other more minor members (Zhang Meisun and Cai Shudan), the bonds between the remaining five members of the Manhua Society (Ye, Huang, Zhang, Zhang, and Lu), however, seem to have grown even stronger throughout 1928, while at the same time allowing new collaborators to emerge. This reflects the fluid nature of membership in the Manhua Society that is attested to in their early meeting notes which note that, “…our group has adopted an open format and we welcome new comrades to join. There is no established procedure for soliciting new members, so interested parties are encouraged to contact us” 該會取公開態度、歡迎同志加入、但無徵求會員之手續、願入會者、可與該會接洽云. Manhua Society members, Wang Dunqing, Huang Wennong, Ye Qianyu, three united comrades from the world of art and literature, will be distributing a pictorial magazine that uses five-color rubber blanket offset printing. Every three days a new issue will be released under the name, “Shanghai Sketch.” The objectives of this periodical are to use words and pictographic art to encourage Chinese industry, beautify present day society, and conduct the revolutionary spirit. The contents of each issue will be one set of long-running humorous cartoons, and one set of short-running cartoons. The beautiful printing will include more than 20 satirical drawings, joke drawings, etc. while he text will include miscellaneous social commentary, short stories, interesting accounts, etc. Regarding the preparation of the pictographic materials and the selection of texts, there has already been over a year of preparation so the works we will publish are, without exception, vastly different from those published in normal pictorial magazines and three-day papers. This periodical will be published December 31, Year 16 . This is the fourth chapter in my MA thesis, The Shanghai Manhua Society: A History of Early Chinese Cartoonists, 1918-1938, completed in December 2015 at the Department of Asian Studies at UBC. Since passing my defense, I’ve decided to put the whole thing up online so that my research will be available to the rest of the world. I’ve also decided to use Creative Commons Attribution-NonCommercial-NoDerivatives 4.0 International License, which means you can share it with anyone you like, as long as you don’t charge money for it. Over the next couple of days I’ll be putting up the whole thing, chapter by chapter. You can also download a PDF version here. 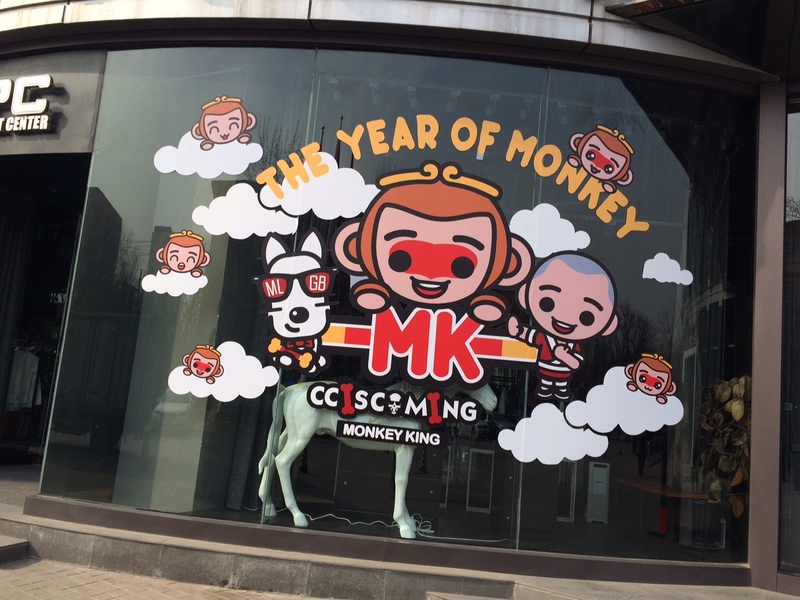 While it is clear that the members of the Manhua Society were connected through a variety of social and professional institutions, it took them more than five years to form a society dedicated to the production and promotion of cartoons and comics in China. Initially, they may not have seen the need to organize, instead being satisfied to be paid to draw cartoons on a semi-regular basis for the Shenbao and other periodicals. For most of them, cartoons probably seemed like a hobby, or side-business, to their more lucrative work in advertising and teaching. The escalating political turmoil of the 1920s would seem to be obvious catalyst for the formation of the Manhua Society. On the other hand, cartoons and comics provided these young men with the means not only to speak out against foreign imperialism and government corruption, but also establish their respective careers and provide for their families. One event in particular has special significance for the formation of the Manhua Society, not simply because it spurred the Manhua Society members into action, but because it provided an opportunity for publishers (particually of pictorials) to capture the attention of readers. On May 30, 1925 policeman in the International Settlement opened fire on a crowd of Chinese protesters, many of them students, gathered outside the Laozha police station老閘捕房, killing nine and injuring many more. The students had gathered to protest the trial of students who had been arrested performing a mock-funeral demonstration following the shooting of a Chinese worker in Japanese-owned cotton mill earlier in the month. Two days later, the tabloid Pictorial Shanghai 上海畫報released its controversial first issue on June 6, 1925, featuring photographs of the bloody protests. Published by the popular noveist Bi Yihong畢倚虹(born Bi Zhenda 畢振達, 1892-1926), who was associated with the Mandarin Ducks and Butterflies clique, the tabloid employed not only Zhang Guangyu and Ding Song, but also St. John’s graduate and future Manhua Society member, Wang Dunqing. Over the next month, a triple strike of merchants, students and workers organized by the KMT working in cooperation with Du Yuesheng and the Green Gang led to riots and more deaths, providing Pictorial Shanghai with enough sensational content to publish a new issue every three days. Clearly inspired, two months later on August 3, 1925 Zhang Guangyu launched his own three-day tabloid, the two-page broadsheet, China Camera News三日畫報. The May 30 Incident galvanized the young cartoonists into action, providing a ready market for their pointed political satire, and in addition to news and topical essays, the first issue also included satirical drawings諷刺畫 by four future members of the Manhua Society: Lu Shaofei, Huang Wennong, Ding Song, and Zhang himself. This is the third chapter in my MA thesis, The Shanghai Manhua Society: A History of Early Chinese Cartoonists, 1918-1938, completed in December 2015 at the Department of Asian Studies at UBC. Since passing my defense, I’ve decided to put the whole thing up online so that my research will be available to the rest of the world. I’ve also decided to use Creative Commons Attribution-NonCommercial-NoDerivatives 4.0 International License, which means you can share it with anyone you like, as long as you don’t charge money for it. Over the next couple of days I’ll be putting up the whole thing, chapter by chapter. You can also download a PDF version here. Ji Xiaobo, Ding Song, Zhang Guangyu, Zhang Zhengyu, and Lu Shaofei all met in the late 1910s, and found an affinity in their shared interest in cartooning, and also perhaps a sense of social exclusion, since all four men were born into a merchant or tradesmen families. Their relative lack of education stands in contrast with many Republican-era intellectuals and artists who came from wealthy families and were educated abroad. Although Ye Qianyu was given the benefit of a high school education, and was also somewhat younger, like the Zhang brothers and Ye Qianyu, he seems to have mostly forged his own path to becoming recognized as a professional artist. The remaining members of the Manhua Society are Wang Dunqing, Huang Wennong, Hu Xuguang, Zhang Meisun 張眉蓀 (1884-1975) and Cai Shudan 蔡輸丹 (n.d.). Of them, Zhang Meisun seems to have been an early acquaintance of Ding Song, having studied art together at Tushanwan orphanage while both men were in their teens, and Hu Xuguang a student of Ding Song, having studied at the Shanghai Art Academy. The rest, like Ye Qianyu, seem to have been wild cards, attracted to Manhua Society by chance encounters and shared interests. Some, like Zhang and Cai, don’t seem to have left any cartoons behind, with Zhang becoming a well-known painter of watercolors, and Cai working as an assistant to Ji Xiaobo. Ye Qianyu has mentioned that he first became interested in cartooning after seeing cartoons by Huang Wennong, who himself may have been influenced by Shen Bochen without ever meeting him. Wang Dunqing, meanwhile, quickly rose through the ranks of the Manhua Society, taking over the chair from Ding Song in November, 1927. He made fast friends with Ye Qianyu, but seems to have remained distant from many of the other members of the society. With a glance at the picture, you can immediately tell who he is. It is not strength, but his fine character and art that win the love and admiration of all his fellow students. As a friend, he is always sincere and ready to help without hesitation. As an athlete, he is noted for his fine college spirit. His beautiful verses in Chinese are depictable [sic] of humanity and true to nature. His clear perception with a firm, bold hand marks him a true artist of distinction. With such an intelligence, capacity and character, we are sure that a bright future awaits him. This is the second chapter in my MA thesis, The Shanghai Manhua Society: A History of Early Chinese Cartoonists, 1918-1938, completed in December 2015 at the Department of Asian Studies at UBC. Since passing my defense, I’ve decided to put the whole thing up online so that my research will be available to the rest of the world. I’ve also decided to use Creative Commons Attribution-NonCommercial-NoDerivatives 4.0 International License, which means you can share it with anyone you like, as long as you don’t charge money for it. Over the next couple of days I’ll be putting up the whole thing, chapter by chapter. You can also download a PDF version here. Given Ji Xiaobo’s job as a censor for the Nationalist government in the 1930s, it is perhaps unsurprising that when Ye Qianyu wrote his autobiography in the late 1980s, he decided not to mention that Ji Xiaobo was an old acquaintance of two key founding members of the Manhua Society, Zhang Guangyu and Ding Song. Since Ji Xiaobo claims to have met both in 1917, while working Sun Xueni’s Shengsheng Fine Arts Press, it stands to reason that Ji Xiaobo would have introduced the two cartoonists to Ye Qianyu when the talented young artist was promoted to the advertising department of Three Friends in 1925. Instead, Ye recalls that he met Zhang Guangyu after submitting a cartoon to his tabloid, the China Camera News 三日畫報in the summer of 1925, shortly after arriving in Shanghai. There may be an element of pride at work here as well, because according to Ye, Zhang was so impressed with his work that he asked to meet him in person. Or it may be that Ji never introduced them, and Ye resented him for not having done so. Regardless, it seems clear that Ye Qianyu and Zhang Guangyu hit it off almost immediately, with the younger Ye referring to Zhang as “the first of the older generation of manhua artists I met” 最早认识的老一辈漫画家. This, again, is curious, because Zhang, born in 1900, was only one year older than Ji Xiaobo. In comparison, Ye hardly mentions Ding Song. Given their respective ages, Ye Qianyu and Ji Xiaobo were likely much closer friends with Zhang Guangyu than they were with much older Ding Song. Nevertheless, Ding Song seems to have provided the group with a certain amount of guidance. Meeting notes for the society indicate that Ding Song was the chairperson of the group for the majority of 1927, stepping down in favor of Wang Dunqing in November, and he was a teacher and mentor to both Zhang Guangyu and Lu Shaofei. Most importantly perhaps, as the oldest member of the Manhua Society by nearly a decade, Ding Song is in many ways typical of the cartoonists who emerged in the first decade of the Republic prior to the formation of the Manhua Society. Born in 1891 in Fengjingzhen 楓涇鎮, a small town in Jiashan county嘉善to the southwest of Shanghai, Ding Song’s parents both died when he was only 12. He spent his teen years at the Tushanwan土山灣orphanage in Xujiahui district, which had been founded by Jesuit missionaries in 1864. While at Tushanwan, Song studied Western religious and secular art with Zhou Xiang周湘 (1871-1933) and Zhang Yuguang張聿光 (1886-1968), in addition to learning how to operate a printing press. He quickly made a name for himself as an artist, and in 1913, Song was invited to serve as academic dean for the newly founded Shanghai Art Academy 上海美術院 , later being promoted to provost. It was around this time he became close friends with the prolific cartoonist Shen Bochen沈泊塵 (born Shen Xueming 沈學明, 1889-1920), who had been hired as a staff cartoonist for the three-day tabloid The Crystal 晶報in 1912. Under Shen’s encouragement, Ding Song to soon began drawing and publishing his own cartoons. Chapter 1: War, What Is It Good For? This is first chapter in my MA thesis completed in December 2015 at the Department of Asian Studies at UBC, The Shanghai Manhua Society: A History of Early Chinese Cartoonists, 1918-1938. Since passing my defense, I’ve decided to put the whole thing up online so that my research will be available to the rest of the world. I’ve also decided to use Creative Commons Attribution-NonCommercial-NoDerivatives 4.0 International License, which means you can share it with anyone you like, as long as you don’t charge money for it. Over the next couple of days I’ll be putting up the whole thing, chapter by chapter. You can also download a PDF version here. Fittingly, given the role free trade agreements have played in the development of 21st century cities, Shanghai of the early 20th century, “portent of the modern world,” was made possible by the Treaty of Nanking in 1842 which designated Shanghai a ‘treaty port,’ becoming a casualty of the first Opium War between the rapidly expanding British Empire and the ailing Qing Empire. The Manchus had ruled China since overthrowing the ethnic Han Ming dynasty in 1644, overseeing a huge growth in population and territory. According to many scholars who have studied the era however, the Manchu reforms were primarily targeted at restoring rather than reforming political, economic, or social institutions which they inherited. Eventually, foreign aggression forced the imperial government to begin efforts toward Western-style modernization. The British treaty was soon followed by similar French and American treaties in 1844. Chinese entrepreneurs flocked to the foreign concessions to take advantage of the new economic opportunities they provided, while many others sought refuge from the political turmoil of the Taiping Rebellion of 1851 to 1864. Foreign products, most famously opium, but also English wool, Indian cotton, Russian furs, American ginseng, and silver bullion mined in Mexico were imported into China through the docks and godowns [warehouses] of the Huangpu, and while goods such as tea, silk, and porcelain were exported from the farms and villages of the Chinese countryside. Over time, a local manufacturing industry (of which printing presses were to form a large part) emerged, eventually overtaking the import-export business. In 1895, the defeat of the Qing in the first Sino-Japanese War led to the Treaty of Shimonoseki, which created the first Japanese concessions in China while also establishing a legal precedent for foreign-owned manufacturers within China. At first, Chinese industrialists struggled to compete with the capital resources and more advanced manufacturing techniques of foreign-owned factories. Chinese firms quickly latched onto the idea of using the rhetoric of nationalism to sell their products, which often came at a higher or equivalent real cost, with a lower level of perceived quality. Anti-Japanese sentiment was stoked even further by the Russo-Japanese War of 1904-1905, when Japan seized additional concessions in the Liaodong peninsula 遼東半島, in the northeastern province of Liaoning 遼寧, which at the time was known as Fengtian 奉天. When the by then widely despised Qing government was finally overthrown in late 1911, the ensuing wave of nationalism help bring by Sun Yat-sen’s 孫中山 (1866-1925) Kuomintang 國民黨[Chinese Nationalist Party, KMT] to power, with the support of the leading Qing general, Yuan Shikai 袁世凱 (1859-1916) and his modernized Beiyang Army. Meanwhile, business owners quickly realized the opportunity to seize market share from foreign imports with the establishment of the Chinese National Product Preservation Association 中華國貨維持會. Beyond simply promoting Chinese products, the CNPPA would go to organize numerous anti-Japanese boycotts from its headquarters in Shanghai, which were largely suppressed by the Republican government under pressure from the Japanese legation. When World War I broke out in August, 1914, Japan, which had been formally allied with England since the 1902 Anglo-Japanese Alliance, seized the German concession in Qingdao, Shandong province and proceeded to force the Yuan Shikai’s government, which had ejected Sun Yat-sen’s KMT the previous year, to accept a list of demands, including the recognition of the various Japanese territorial claims in China. In late 1915, Yuan reinstated the monarchy, declaring himself Emperor Hongxian of the Chinese Empire 中華帝國大皇帝洪宪, a controversial decision which led to the break-up of his government even before his death from kidney failure in 1916. Following Yuan’s death, the Beiyang Army split into warring factions, which coalesced into three main groups: the Anhui clique 皖系, the Zhili clique直系, and the Fengtian clique 奉系. At first, the most powerful of these was the Anhui clique, which controlled Beijing under the leadership of Duan Qirui 段祺瑞 (1865-1936), an Anhui native, with the support of the Japanese who provided loans in exchange for under-the-table territorial concessions. For similar reasons, the Japanese also supported the Fengtian clique, which was based in the far northeastern corner of the country above Korea, known as Manchuria, and led by Zhang Zuolin 張作霖 (1875-1928), with the support of Zhang Zongchang 張宗昌 (1881-1932) and others. Hebei and its surroundings, meanwhile, were controlled by the Zhili clique, led by Cao Kun 曹錕 (1862-1938), in partnership with Wu Peifu 吳佩孚 (1874-1939), Feng Yuxiang 馮玉祥 (1882-1948), and Sun Chuanfang 孫傳芳 (1885-1935). For much of the late 1910s and early 1920s, however, the province of Canton in the far south was largely controlled by the KMT under Sun Yat-sen’s leadership. Sun initially formed alliances with local warlords, in particular Chen Jiongming 陳炯明 (1878-1933), but found them to be unreliable allies in his quest to reunify China under KMT rule. In 1924, Sun founded the Whampoa Military Academy 黃埔軍校 in Canton with support of the Soviet Union and the New Guangxi Clique 新桂系, which controlled neighboring Guangxi province, a major center of opium production. As part of the terms of support from the Bolsheviks, the KMT had formed an alliance with the Chinese Communist Party in 1923, known today as the First United Front of the Nationalists and Communists. In 1925, Chiang Kai-shek 蔣介石 (1887-1975), commandant of the Whampoa Military Academy, drew on the graduates of Whampoa to found the National Revolutionary Army (NRA), a force which would ultimately retake the country for the KMT following Sun Yat-sen’s death in 1925. In was during these turbulent times that Ye Qianyu, today the most well-known member of the Manhua Society, grew up. Ye’s early life story is unique among his peers not so much in the particulars, but because we know a great deal about it, largely thanks to his autobiography which was published in the 1990s. Ye’s early life illustrates how the numerous military conflicts of the late 1910s and early 1920s shaped the lives and aspirations of the first generation of manhua artists in China. Born in 1907 into a family of merchants in Tonglu county 桐廬縣, Zhejiang province, in the mountains to the southwest of Hangzhou at the confluence of the Fenshui and the Fuchun, at age seven Ye entered Baohua Primary School 葆華小學. After graduating in 1916 he enrolled at Zixiaoguan Advanced Primary 紫霄觀高等小學 where in addition to his other coursework he also studied traditional ink painting and handicrafts. He spent five years at Zixiaoguan before graduating in 1921. While Ye was in his third year Zixiaoguan, World War I ended with the Treaty of Versailles. Signed on June 28, 1919, due to secret territorial concessions granted by the various warlord cliques in exchange for loans and military equipment, this controversial document upheld Japanese claims over Qingdao and the Liaodong peninsula, despite China having contributed some 140,000 laborers to the Allied war effort. More than 800 miles to the north of Hangzhou, student protests against both the warlords and Japan took place in the capital of Beijing on May 4, 1919, quickly spreading to rest of the country. The “May Fourth” movement, as it came to be known, was a watershed moment for a new generation of Chinese intellectuals who increasingly came to advocate for the abandoning of “backward” Chinese tradition in favor of the modern ideals of “science and democracy.” Although he was only 12 when the May Fourth movement began, in his memoirs Ye recalls participating in student protests inspired by the May Fourth movement several years later while going to school in Hangzhou. Last December, I completed my Masters of Arts in Asian Studies at UBC. Altogether it took me about two and half years. For the first year, that meant attending graduate seminars, doing assigned readings, and writing seminar papers (many of which I’ve since re-purposed as posts on this blog). I also helped organize my department’s graduate conference and worked as a teaching assistant, first in Chinese film and later for Chinese language courses. The last year and a half of my program was dedicated to completing my thesis, a long piece of original research intended to both develop and highlight my mastery of my chosen subject matter. Although I had hoped to complete a comprehensive history of Chinese comics, I soon realized this was far beyond the scope of a MA thesis. With the encouragement of my advisor, Chris Rea, I decided to focus on the Shanghai Manhua Society, an important group of cartoonists who came together in Shanghai in the mid-1920s. For most scholars, academic research is first and foremost a means to an end. (As a wise man once said, the only good thesis is a finished thesis.) That said, it is also represents a once in a lifetime opportunity to study something which interests you, and (hopefully) share that interest with others. Over the last couple of years, Chinese cartoons and comics have been gradually attracting more and more interest abroad. In Chinese studies, much of this interest is framed within the context of print culture studies, taking inspiration from Jürgen Habermas’ influential concept of the public sphere as the birthplace of modern democracy. I can’t, however, say that I have much of a mind for theory. I like Chinese comics because I like comics and I like China. If that sounds like an easy out, well. Perhaps it is. Since passing my defense, I’ve been considering putting my entire MA thesis online so that my research will be available to the rest of the world. I’ve also decided to use Creative Commons Attribution-NonCommercial-NoDerivatives 4.0 International License, which means you can share it with anyone you like, as long as you don’t charge money for it. Over the next couple of days I’ll be putting up the whole thing, chapter by chapter. You can also download a PDF version here. Finally, now that I’m working as a full time translator / agent / consultant / tour guide, any time I spend on this blog is time I could be spending on paid gigs.1 If you’d like to support my research going forward I encourage you to consider sponsoring my blog via Patreon. Thank you! 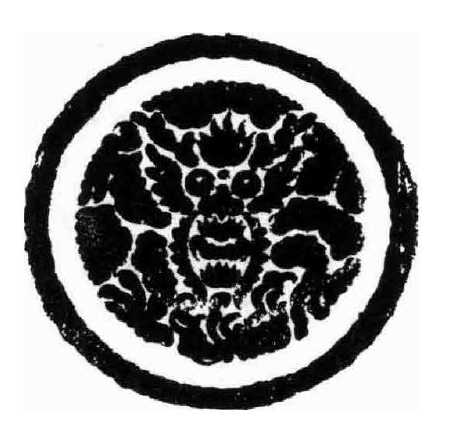 Zhang Meisun “Emblem for the Manhua Association” 漫畫會會徽 November, 1927. Chapter 1 : War, What Is It Good For? Burnt Bridges and Bad Blood? Lop off my arms and I’ll sock you another. Carve up my guts and I’ll put them together. A warm tub that makes all the dirt gone. 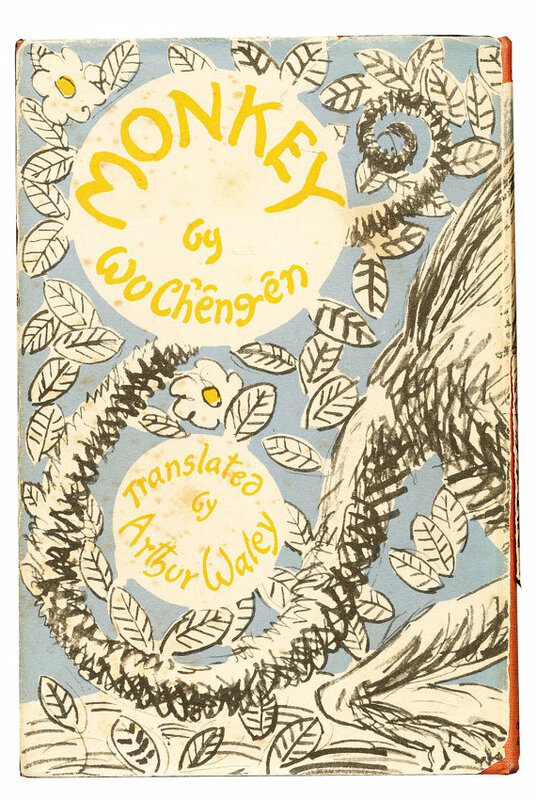 So speaks Sun Wukong, better known in English as the Monkey King, after Monkey, British sinophile Arthur Waley’s enduring early 20th century translation of Wu Cheng’en’s Journey to the West 西游记. Thanks to Waley’s judicious to abridgement of the massive Ming dynasty novel into a much shorter and (arguably) more readable novel, for a time at least The Great Sage was able to enjoy an equal measure of fame both at home and abroad. 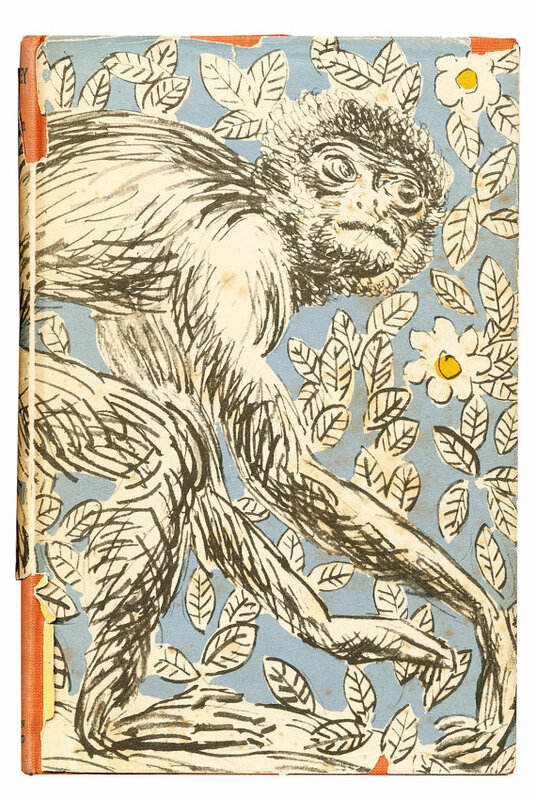 Although the novel is less well known today, nearly a century later, Monkey has many ways found an even greater success—as a cartoon character. The following is a sneak peak of a talk I have been invited to give later this month for the Center for Chinese Research at the University of British Columbia. If you are interested in the topic and happen to find yourself in Vancouver, the talk will be Monday, February 29, 12-2pm in Room 120 of the C.K. Choi Building.